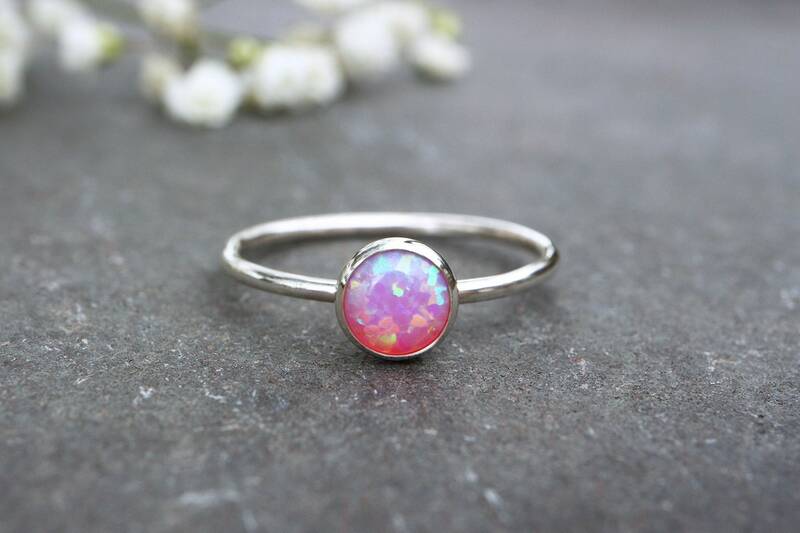 Pink Opal gemstone ring, with a solid sterling silver band and stone setting. 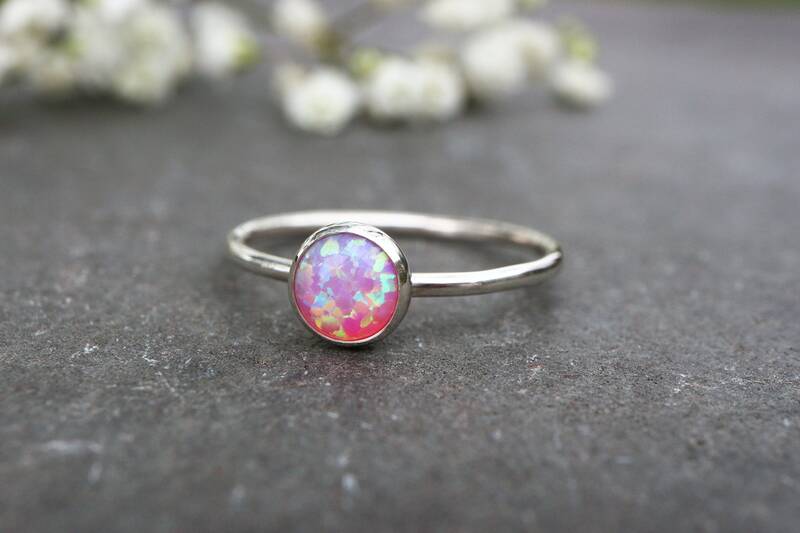 This opal is man made/laboratory created, so it is identical in physical composition to an earth mined opal but with a much higher quality for the price and much less of a carbon footprint. 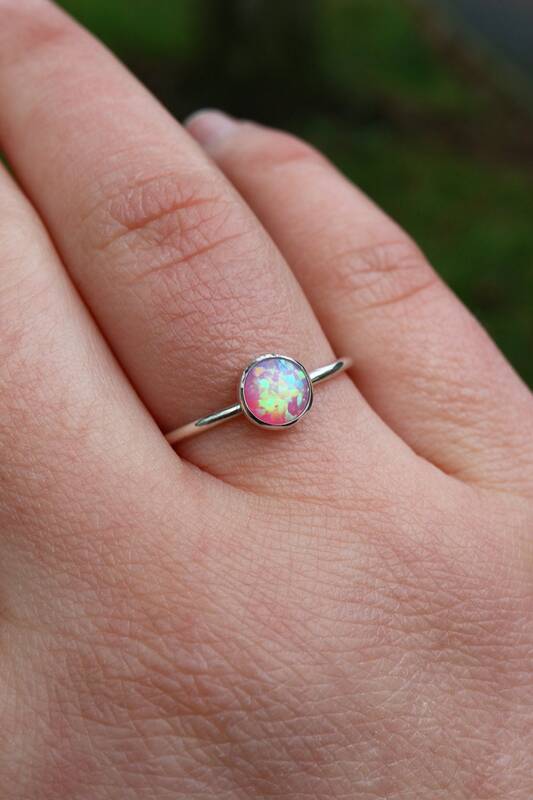 Earth mined opals are available, please contact me for a price. 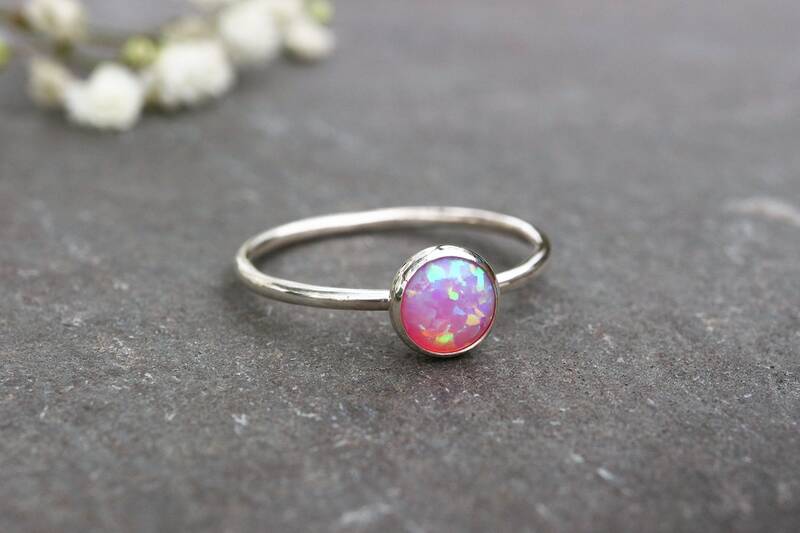 Opal is a stone of inspiration which enhances imagination and creativity. It can bring inspiration to projects and to life and Spirit. Its own spirit is at times like that of a child spontaneously playing, dashing color where ever it pleases. Carrying this imaginative spontaneity into the realm of you life can bring strong creativity. I love this, a perfect fit and have just bought a second! 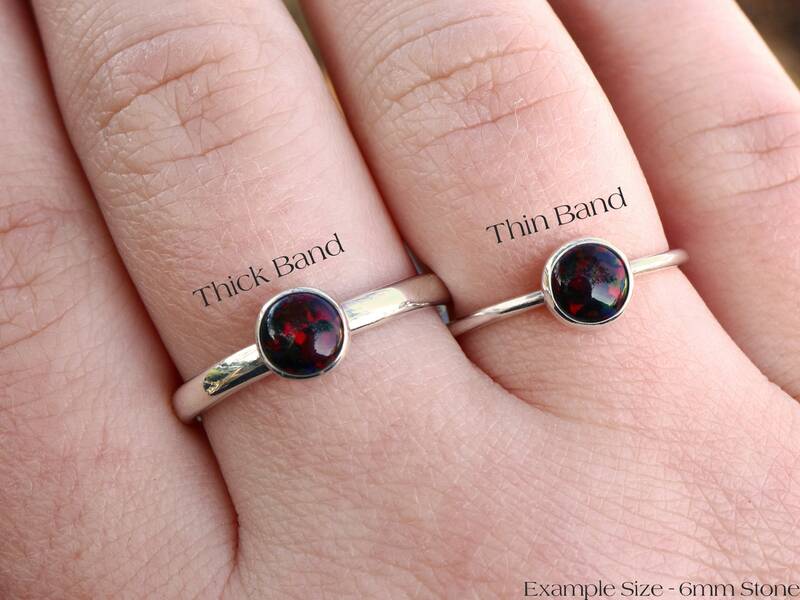 Such a beautiful ring, it's so understated yet eye catching!